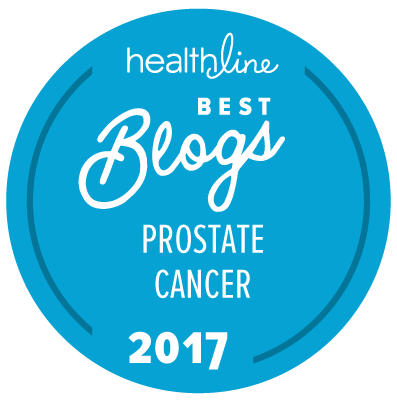 Perhaps understandably, the average prostate cancer patient seems to be less exercise willing than he thinks (and reports that) he is — but it’s not all bad news! A newly published study by Smith et al. in the journal Cancer has reported data from a cohort of 350 prostate cancer patients in the UK, all of who agreed to self-record and self-report data on their exercise levels immediately prior to and after having a radical prostatectomy between 2011 and 2014 (i.e., at baseline and at 5 weeks, 6 months, and 12 months post-surgery). Of these 350 patients, a subset (n = 81) was recruited who agreed to wear an accelerometer for 7 days each at various time points in the study so that the research team could gain objective data about how much exercise the patients took in reality. 310/350 men (88.6 percent) actually reported data. Physical activity was high at baseline (median, 32.1 min/day). It declined at about 5 weeks pst-surgery (median, 15.0 min/day). It recovered again at 6 and 12 months psot-surgery (median, 32.1 to 47.1 min/day). Moderate‐to‐vigorous physical activity was low at all four time points (median, 0.0 to 5.2 min/day). There was no overall change across study assessments. Self‐reported moderate‐to‐vigorous physical activity tended to be more closely related to objectively measured light‐intensity physical activity than to objectively measured moderate‐to‐vigorous physical activity. In our population of prostate cancer survivors with critically low moderate‐to‐vigorous physical activity levels, self‐reported measures greatly overestimated moderate‐to‐vigorous physical activity and may have been more reflective of light‐intensity physical activity. Because cancer survivor guidelines are derived from self‐reported data, our findings may imply that intensities of physical activity below moderate, such as light intensity, still have health benefits. Of course what we therefore don’t know is how much better the patients might be doing if they really did take the requested action and participate in at least 30 minutes of moderate-to-vigorous exercise on a daily basis. What we do know is that many men in the general area of Cambridge, England, don’t tell the truth about how much exercise they take! How many of these patients were academics at the University of Cambridge, one has to ask!? I’m not taking that test! Why would you need to? I am absolutely convinced that you are doing at least 40 minutes of truly vigorous exercise (i.e., dripping with sweat afterwards) on at least 5 days a week!